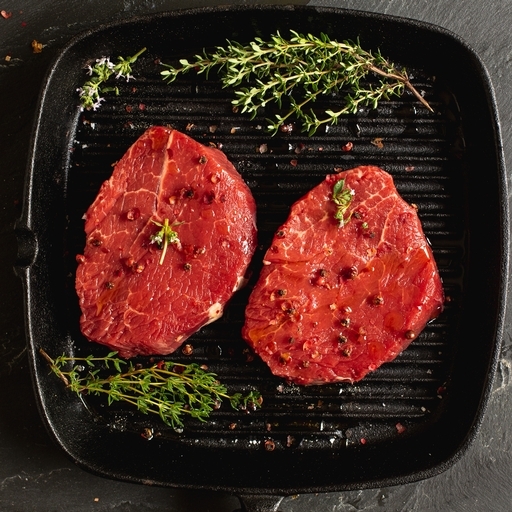 Organic fillet steak, prepared in our Riverford butchery. You can taste the quality of our organic grass-fed beef, and this is the ultimate cut – lean but buttery-tender. Grill, griddle or fry in minutes, for a really special but ultra-quick meal. Also good for steak tartare or cut wafer thin for carpaccio. Approximately 2 beef fillet steaks per pack.